Countless people, businesses and brands have started their own blogs at some point, all hoping to make it big and dominate within a given niche. Blogs can be an excellent way to boost SEO, grow your audience, sell more products or bring attention to an idea. Without blogs, most websites would generally lack the necessary content that is required for successful campaigns via social media, search engines and marketing in general. Whether you’re new to the blogging scene or have been writing for some time, you should view the art as a three-part process. Below, we’ll discuss the three main drivers of blogging and review some elements that help make each possible. The first – and sometimes most difficult – part of the blogging process revolves around creating great ideas. Whether you’re pinging URLs to content on social media, via email blasts or in various SERPs, you need plenty of fresh ideas to get you there. Topic selection is among the most important elements in this, as it can help you narrow down your ultimate focus. From there, you’ll want to do plenty of keyword research in order to determine which niches to target. Last but not least, you’ll need to establish a posting schedule in order to figure out just how much content you need. Once you’ve settled on your keywords, ideas and frequency of posting, you’re ready to move on to the most exciting part of the process. This part is the meat and potatoes of the blogging process. Here, you’ll begin to do research on your topic and fluff your broader ideas into something more specific. You’ll want to put those keywords to work and create a catchy title that’ll grab readers’ eyes at first glance, and do the same for a good headline as well. Next, you’ll proceed to do all of the hard work and create the actual body of your content. Once completed, you’ll want to review said content for potential errors and improvements. From adding relevant and aesthetic images to proofreading everything, you’ve now reached the end of the writing process. Once you are satisfied with how your post looks, reads and feels, you’re ready to move on to the final stage. People aren’t just going to find your blog post on their own most likely, so you’ll need to work hard in order for it to be seen. This part of the process can take the longest and really ties in to every piece of content you create. Any blog needs a social media presence, so that you can build a reliable audience who will be glad to see new content from you. As your SEO potential grows with more content created, organic traffic from search engines will hopefully grow. You can also inject a bit of money at the onset in order to promote your latest blog posts via ads on Google, social media and beyond. Finally, be sure to install some form of analytics on your website, so that you can keep track of who is pinging URLs to your website and from where. 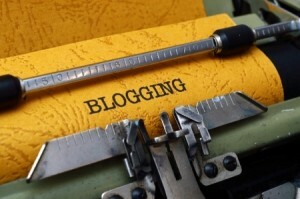 Once you’ve gotten the hang of it, blogging can be an easy and rewarding experience. By crafting your great ideas, executing them and then marketing them to the public, you can gain exposure and gradually build a solid brand. Tell us below what you’re most concerned with as a new blogger.